People who acquire precious metals often don’t know how to store them. Whether it is family jewelry that has been passed on for generations, coins you have collected while traveling, or simply raw metal purchased for investment purposes, finding a safe place to store your items is of utmost importance. Today, Affordable Family Storage will discuss ways in which you can prepare your precious metals for a storage unit, and why choosing the right storage facility matters. 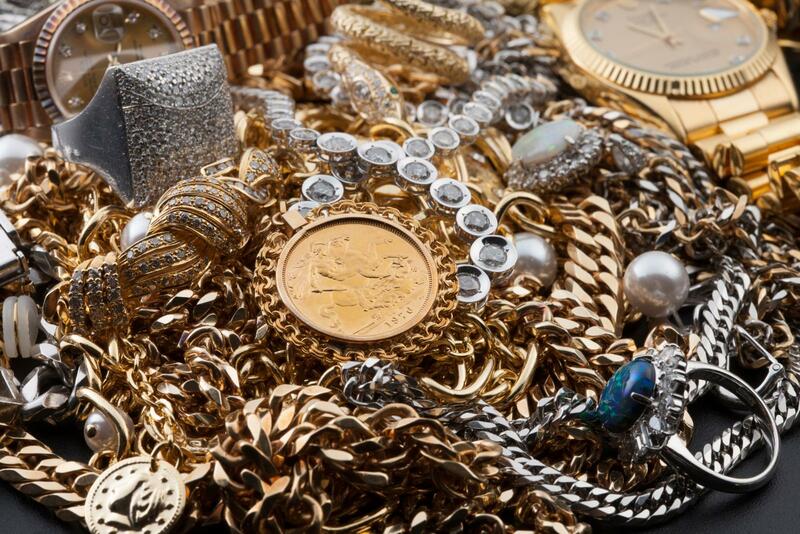 When handling your precious metals, it is important to ensure that your items are handled correctly. Wearable jewelry can be handled gently, as it is designed to be worn anyway. Things like bullion and precious metal bars, however, should be handled with even more care to preserve their condition. Professionals recommend using soft cloth gloves in order to prevent the oils on your hands from corroding the metal. Avoid using latex or plastic gloves because these are coated with powders or lubricants which can also damage your metal. The best practice is to try to handle your bullion or bars as little as possible. Placing them in a secured storage unit can help to ensure that they are not handled more than is necessary. When finding a container to place your precious metals in, avoid plastic or PVC containers. These materials release acidic gases which can contribute to the corrosion of delicate metals. PVC especially releases hydrochloric acid when exposed to heat or light. Hydrochloric acid will eat away at the metal in your bullion or bar and diminish its value. Instead, opt for a protective coin slab, lined wooden box, or Mylar container. These materials can help to ensure your metals remain in pristine condition while in your storage unit. If you opt to take advantage of a storage unit for your precious metal storage, it is imperative that you choose a climate-controlled storage unit. Humidity and heat are two major contributors to metal corrosion. One of the major problems collectors run into when they store their precious metals in a garage safe, for instance, is the extreme temperature change and humidity that can impact the quality of their collection. Selecting a storage unit that offers year-round climate control can ensure that your precious metal stays in pristine condition. At Affordable Family Storage, we have state-of-the-art climate-controlled facilities with the security you want for precious metals. With 24-hour surveillance and security teams, you are assured the safety of your belongings at our facility. If you are interested in learning more about our storage unit facility contact us today at 417.658.4458.